Toilet Problems? Call an Educated Professional Today! There is nothing worse than flushing a toilet and watching the water rise rather than flush. If you have children it could be bath toys, flushable wipes, socks, diapers, and even your cellphone! If your sink, tub or other fixtures besides your toilet are draining slow or clogged, this could mean that your main sewer line is stopped up and you need a plumbing professional immediately before it results in much greater damage to your home. 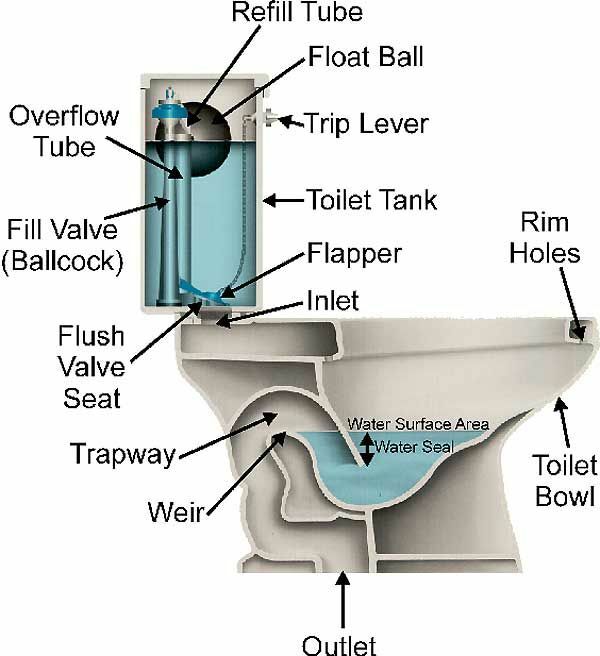 If you hear water running in your toilet tank at different times a day, your toilet is leaking. Water is making its way into the bowl and you could be losing hundreds of gallons of water a day. The problem may be a corroded flush valve assembly, Fill-Valve assembly or a worn out Flapper valve. Stop jiggling the handle and call Delta “The Educated Plumber.” Chances are you'll save enough money on your next few water bills to cover the cost of the plumbing repair. How old is your Toilet? If your toilet has been installed since 1994 or before, you could be spending a fortune in water consumption. More than likely your toilet is a 3.5 Gallons per flush toilet (gpf) when you could own a 1.6 Gallons per flush with the same flushing power as a 3.5 and will save you more money. Call Delta today and find out what toilet is best for you!